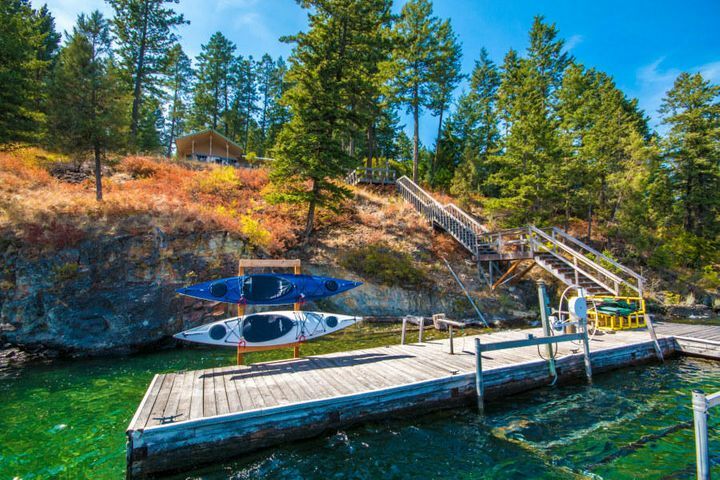 Spectacular Angel Point property with 200 feet of Flathead Lake frontage and stunning views from house perched above water. Enjoy the private setting just minutes from Lakeside amenities. The 2Br/2Ba home includes a spacious deck and detached, two-car garage with bonus bunk room and its own deck. Remarks: Spectacular Angel Point property with 200 feet of Flathead Lake frontage and stunning views from house perched above water. Enjoy the private setting just minutes from Lakeside amenities. The 2Br/2Ba home includes a spacious deck and detached, two-car garage with bonus bunk room and its own deck.